Are you looking for to Hire Dedicated WordPress Developer? 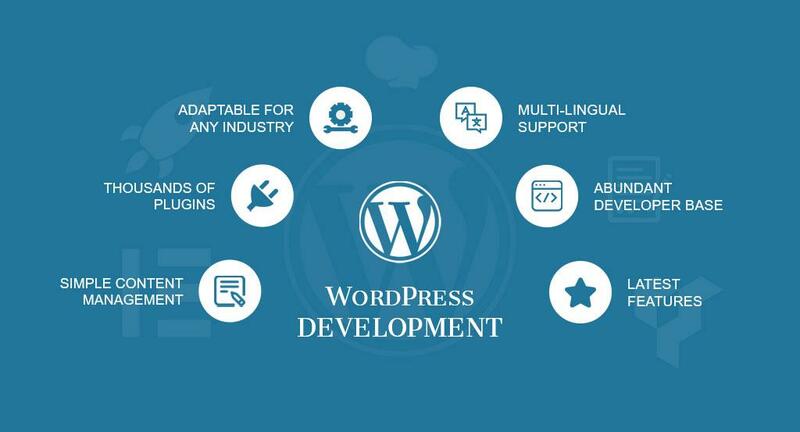 In its essence, WordPress is a Content Management System (CMS). A CMS allows users to create, manage and organize digital content like websites, blogs, multimedia, etc. WordPress is one of the first-movers in the CMS domain. In fact, launched in 2003, it is older than Facebook and Twitter itself. Since its inception, it has risen in ranks to become the most preferred CMS platform. According to W3Techs survey, WordPress commands a dominant 60% of the CMS market share. In fact, most government agencies across the globe are said to be using WordPress as their CMS. Unlike most CMS platforms which are owned and managed by owners or corporates, WordPress has a unique ownership nature. In fact, it has no owners at all. It is an open-source platform that thrives with the support and contribution of its users. In fact, WordPress does not have a CEO at all. WordPress has a built-in multisite feature. It allows you to create a network of WordPress websites using the same WordPress installation. In other words, as a WordPress admin, you can make work several websites from a single control panel. Licensed CMS platforms require you to pay for downloading the software, installation, upgradation and so on. WordPress, on the other hand, comes for free. Self-hosting means you do not incur any costs for hosting services. You can also extend the performance of your WordPress website with several free and paid plugins. WordPress websites are inherently SEO-friendly. They have dedicated fields for meta titles, meta tags, primary keywords and so on which makes them rank higher on search engine results. The backend coding of WordPress is designed to tackle 80-90% crawling needs of Google’s search bots. You are never lost for support with WordPress. WordPress has a thriving community of developers, users, and contributors. The community shares all the latest troubleshooting solutions, tips, hacks and whatnot that can solve your WordPress problems. If you are interested in meeting WordPress enthusiasts in person, there are city-based events, mentorship programs and much more that you can participate in. WordPress is pretty straightforward to use. First-time users or experienced developers, everybody will find it equally comfortable to use on a regular basis. To be more precise, the user-friendliness is what has made WordPress the most popular CMS platform in the whole world. There is no dearth of online training material that can make any novice an expert in WordPress in a short span of time. Rest assured, you won’t incur heavy costs to train your employees to use WordPress. For free or for a throwaway price, you can find a torrent of WordPress plugins that can improve your website performance, security, productivity, user-friendliness and much more. In fact, if you have a stellar idea of your own, you can create your own WordPress plugin and launch it in the WordPress marketplace. Glamorous fashion to high-tech eCommerce, WordPress is game for any kind of industry. It is an extremely flexible and agile CMS platform by nature. Combine with flexibility and agility with the thousands of plugins, you get a robust system that is all geared to go to market. Want to build and manage a website in German, French, Spanish, or any other 68+ languages? Well, WordPress can help you have a single website that can be translated into any other language that your target audience may be comfortable with. In a way, WordPress makes it possible to talk to your user’s language. WordPress developers are available in plenty. From freelancer websites to organized corporates, you can find all kinds of WordPress development forms. WordPress is built using PHP and MySQL which makes it a widely known CMS platform across the globe. The WordPress community toils hard to release security patches and operational enhancements from time to time. The CMS system has its own built-in auto-update system which ensures that the system is updated regularly without fail. So, there is little chance that you will remain stuck with obsolete software unless you want to stay there put. As much as WordPress is flexible and scalable, it is also responsive to different screen sizes. Websites built on WordPress can adapt to any screen size easily. All you need is the services of a professional WordPress responsive designing consultant. They can help you figure out how to make your website fit snugly to every screen that your users could be using. Want more information about WordPress Develompent services? Get A Free Consulting & Quote Now.